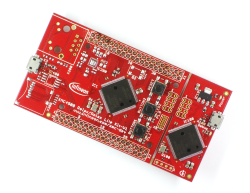 The XMC4500 Relax Lite Kit from Infineon is a powerful deverlopment board. 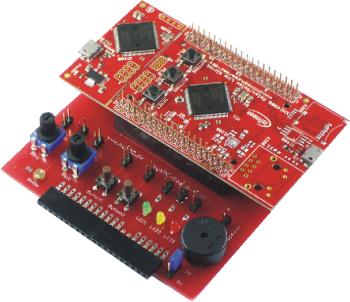 It allows the user a simple way to use the high performance characteristics of the Cortex-M4 for your own applications. 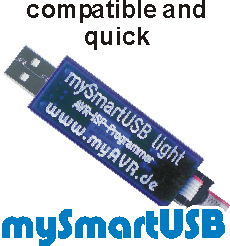 Another advantage is the separable JLINK Programmer of Segger. With the other XMC can be programmed and debugged over the retrofit SWD-pin connector (Serial Wire Debugging). XMC4500 Relax Lite Kit. 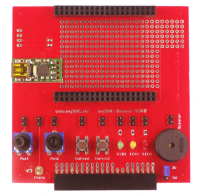 Additional digital and analog input and output devices and a USB-UART Bridge for communication with the PC complete the XMC experimentation and learning platform. 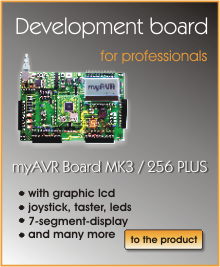 This add-on provides means of interface for myAVR products the chance to use the new 32bit technology in combination with existing myAVR products. The pin configuration of the interface is defined, so no need for additional cables. 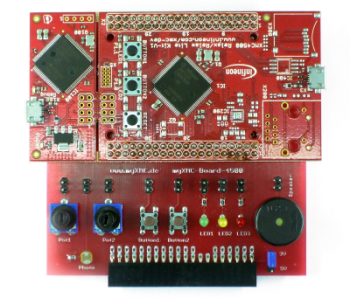 The extensive range of features of this board is optimally supported from SiSy XMC for developing your own programs. SiSy XMC iis a software package for designing, writing, translating, burning and testing the self-developed programs. The functionalities of a simple development environment for programming as well as working with the UML is available. Your own work will be optimized with the sample programs and integrated support. Für den Einstieg in die objektorientierte Programmierung von XMC-Mikrocontrollern finden Sie Hilfe und Anregungen im XMC Tutorial für C/C++ und UML. 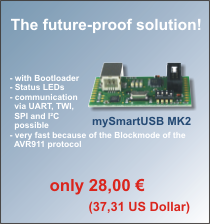 Ausgewählte Bereiche und interessante Beispiele nutzen als Referenzhardware ARM Produkte.